In order to allow users to open and view Microsoft Office file formats without Microsoft Office installation, Microsoft has released a third party component which is named as Viewers for Windows Embedded Compact 7. This release provides viewing capabilities for documents created using PowerPoint, PowerPoint, Word and Excel in Microsoft Office 2003 and 2007. In addition to Microsoft Office file formats, it also supports viewing PDF file formats. Microsoft Office Word 97, 2000, 2003, XP and 2007 file formats. Microsoft Office Excel 97, 2000, 2003, XP and 2007 file formats. Microsoft Office PowerPoint 97, 2000, 2003, XP and 2007 file formats. 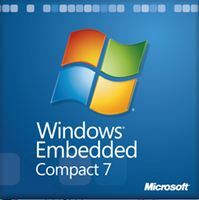 The Viewers for Windows Embedded Compact 7 is available as a free download from without require any registration, or just download from the official direct download links below. Those users who have an evaluation or full product DVD of Windows Embedded Compact 7, can find the Viewers for Windows Embedded Compact7 as a separate installer on the media.